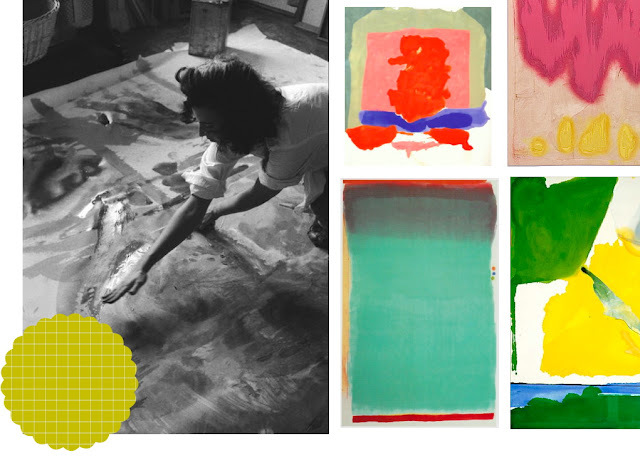 She was married to fellow abstract expressionist, Robert Motherwell. Her career was launched in 1952 with the exhibition of Mountains & Sea, measuring 7 feet by 10 feet. 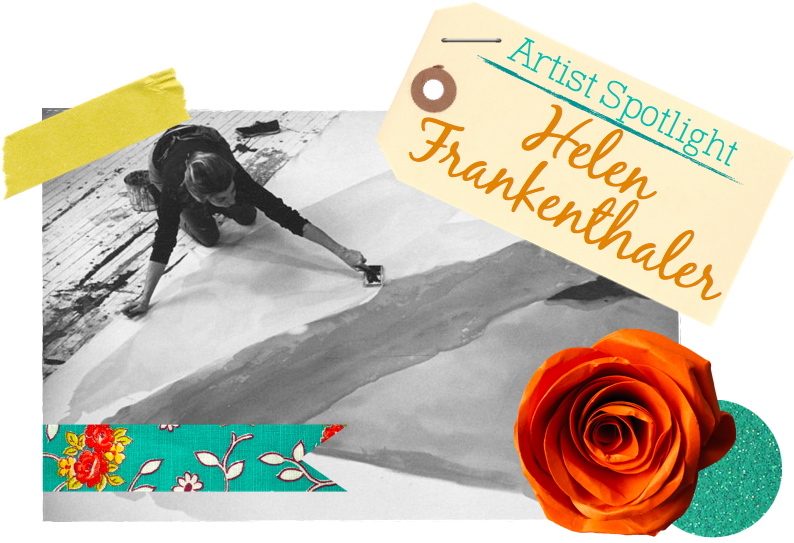 During this time, Frankenthaler joined the 2nd generation of abstract expressionism. In 1960 the term color field painting was introduced to describe Frankenthaler's work. This style was characterized by large areas of a more or less flat single color. Frankenthaler used a soak-stain technique -- painting directly onto an unprepared canvas so that the material absorbs the colors. She heavily diluted the oil paint with turpentine so that the color would soak into the canvas. The artist was heavily influenced by New York School artists such as Jackson Pollock, Willem de Kooning, and Arshile Gorky. "One really beautiful wrist motion, that is synchronised with your head and heart, and you have it. It looks as if it were born in a minute."